When I place a ribbon in my journal, I am marking the place where I stop for the day and where I will begin again tomorrow. Our walk together through this blog will be just that—a journey of celebrating the beautiful things in life one day at a time. It is my hope that when you come here you will find beauty, encouraging words, resources, and inspiration from exciting people who make a difference. Guest bloggers will talk about their areas of expertise from cooking to decorating and everything in between. I will be bringing you exciting interviews with wonderful authors, designers, artists, chefs, and other creative people that will inspire us to put our personal touches on everything we do. There are some extraordinary entrepreneurs who turned their hobbies into incredible businesses just like I did years ago. I can’t wait to share with you their stories and mine. We are never too old to stop learning. In fact, the older I get the more I want to learn. People inspire me, and I hope that you will share the wonderful things going on in your life by sending me your ideas and photos. There is something special about remembering the momentous or even the simple moments in life. Sometimes we just need a few words of encouragement and inspiration to change an otherwise ordinary day into something very special. It is amazing how a few uplifting thoughts can make you look at the world differently. I am looking forward to our walk together. Thank you for joining our blog. I’ll place my ribbon here, where we will begin next time. I received my first email from the ribbon in my journal this morning and have spent well over an hour reading as much of the past entries as I can. Looking forward to reading more-to-come. I can’t wait to get stared! Me too… I just subscribed. I have read many of the comments from months past & am so looking forward to this new highlite of The Ribbon… !!! I meant to say I’m new to this format. I love Phyllis’s magazines, in particular, Victoria, Teatime, & Celebrate. I’ve read & enjoyed the others as well. My motivation for writing however was Cara’s posting. I too was suddenly widowed last July after 27 years of marriage. I’m so thankful that The Lord knows all & gathered my family, friends, & church family close around me so that I wouldn’t fall! My husband is now home with Him, and knowing that brings great comfort! We also have a wonderful son born 2 months after our first anniversary who completely lives up to his name-Matthew-“Gift of The Lord.” As The Lord has helped me to navigate my new normal, He has brought many blessings along the way; encouraging words and kind deeds from others, some of whom were complete strangers. The 20 months preceding my husband’s passing were the most difficult of my entire life, then his passing was added on. Through it all God has proven to be faithful and true His Word! Truly, “Weeping May endure for a night, but a shout of joy comes in the morning!” Last Saturday I graduated form Bible College with a Bachelor of Science in Biblical Counseling! I was halfway through an accelerated degree program when my husband passed. God made it clear that I was to not withdraw, but to persevere on. With His help, I even graduated with honors! I’m excited to see what He has in store for the rest of my life down here! I said all that to encourage Cara & the lady who was lonely & felt like no one cares-look up! God knows you, loves you, & has a special plan just for you! He takes note of your tears, & is able to supply all the strength & inspiration you need to go on! I am living proof of that! Be encouraged! Thank you Phyllis for the reminders to live graciously & intentionally! Thank you to all who have written; I so enjoy reading your musings & memories! Maybe Musings & Memories would be a better title than blog! Blessings to all! God bless you Cindy. That was such a lovely writing. I’m sure the Lord has a great plan for you. Sorry for your loss! Cindy, you are a true gift, and yes God knew what he was doing to encourage you with your journey…all whose lives you are going to touch will be truly blessed!!! My husband & I are getting our house ready to sell and moving 7 hours away in another state as we are approaching our 70’s and feel we must be closer to our family. This is a big move as we have lived in the Adirondack mountains for 40 years. I am looking forward to this new faze in my life, but my husband looks at the move Ina negative way he says he is moving so he can die. Wish he could look at this more positively like I. We will be near our oldest daughter & her husband, our two granddaughters who are 27 & 29. Our oldest granddaughter is married had two children age 3 & 10 months old and another due Nov. 11, 2014. They would like us closer so we can more a part of their lives. I hush my husband would look at the move as a new adventure and as a place to move to to die. Joanne, I pray that your move will be a huge success for you and your husband. Embrace the change. He may come to realize what a blessing it is. Just being near your children is a blessing especially when there are babies in the family. Best of luck and God bless you both. My husband has non-hodgkins lymphoma and there is no cure for it but he has been in remission and he knows that if it comes back and I get sick we will need our family to help us, that is why I think he is so pessimistic about everything. I try to tell him he is alive now so enjoy what he has for now. Oh well we are luckier than a lot of other people. Thanks for your kind words! HI, SORRY I SOMEHOW GAVE YOU THE IMPRESSION THAT I AM MARRIED. HE HAS BEEN GONE FOR SOME TIME. NOW ITS JUST ME AND MY 4 BIRDS. AS YOU SAID I AM HOPING FOR THE BEST WITH THIS UPCOMING MOVE.I PRAY THAT YOUR HUSBAND’S HEALTH REMAINS GOOD. I’M SURE YOUR POSITIVE ATTITUDE HELPS HIM GREATLY……. Lottie, that’s why the Lord gave us one day at a time. We have to live in the present. Tomorrow is promised to no one. God bless!! I need new inspiration in my life. It has been a very hard road for me. I look forward to daily encouraging words to help me climb my mountain. Thank you. with kind words to say. Take care of yourself. Kathy, yes it does help getting into beautiful things and this is the most beautiful thing for me right now. Thank you so much. Sandra, I am sorry to hear of your illness and I admire you for your courage. I will keep you in my thoughts and prayers. Life gives us so many challenges but with the help of the Lord and good friends you will make it through. Susan, I am sorry to hear you are having such a difficult time. Life does give us many challenges. I will keep you in my thoughts and prayers. What a lovely thing you are doing! I subscribe to TeaTime, use to Victoria, buy Southern Lady, Cottage, have bought several books on Tea, big Tea person, love Tearooms, love your writings. Great blog-I look forward to residing it each day! So far, your journal has been a welcome addition to my day. Always enjoy taking time for beauty. I am enjoying your blog. 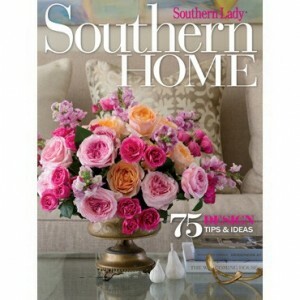 I subscribe to Southern Lady, Celebrate, Cottage Living, Cooking with Paula Deen & Louisiana Cuisine. I also purchase every special edition.of these publication. They are my favorite magazines. I think it’s great that you want to share optimistic, upbeat points of view with others. There is so much good in the world but we sometimes don’t hear about it. 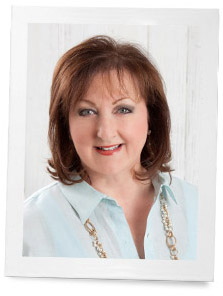 I am so excited be a part of this blog…..of course I love all your publications and subscribe to Victoria, Celebrate, Southern Lady, all of your Victoria classics, and your Cottage Journals. I have filled many delightful hours reading these and I feel like I am transported to another world where everything is just beautiful. My biggest thank you is for bringing Victoria back. Please stop by my shoppe called babiesbridesandlavender. My inspiration for creating my items comes from your publications. Thank You for inviting me to share in your blogging journey. I look forward to following along! Deidre, consider this a personal invitation to visit the shop and enjoy a cup of tea some afternoon (afternoons are usually more calm then mornings!). The shop is located in Hurst, Texas (Cooper’s Florist). Is that near you? If not maybe I can send you a digital pictorial view of the shop and we can share a cup of tea over a blog post. It is just a small shop but we all have a passion for flowers and connecting and meeting with everyone that walks through our doors. I would love for you to come by sometime! Phyllis I am thoroughly enjoying this lovely new blog site you’ve created! It’s such a wonderful extension of the beautiful publications you provide and such a great way for those who love your publications to connect with you and share their experiences with each other. Thank you for such a lovely, inspiring creation! Thank you for the invitation to The Ribbon in My Journal. I will be looing forward to and enjoy every email notification of a new posting I receive from you. I blog a little, writing does not come easy for me. Rather than calling it a ‘blog post’ , I title each post as ” Swing Musings”. It sounds more romantic and less commercial:) I wish you much success with this blog post. You have inspired me many times in all your magazines, and you will continue to do so. Thank you for making this world a finer place. This invitation was just what I needed to make my days a little more peaceful. I’m getting married for the second time in May and we are having it in our garden at home. So much to do, not enough sleep and non-stop days are wearing me out. But after saying all that, I’m having a great time planning it. This is indeed a second chance at life and love for me and hope I can bring inspiration to other women along the way. What a beautiful, thoughtful place to come to. Thank you for providing it. My children and I have recently found ourselves gathering each afternoon for a midwestern ranching version of tea. It is like a daily party for my five-year-old son who loves nothing more than putting treats on a pretty plate and serving everyone. He has always loved to take care of guests. A time of beauty and conversation, a gathering place where all can sit, let the day out with a sigh, and go forth refreshed to complete the day is a treasured spot indeed. Thank you again for creating such a place. I love to journal! Blogging seemed strange to me until I realized that this wonderful technology was really an opportunity for “virtual” journaling and inviting new friends who could actually be living next door or living across the country into a personal space to share and discuss thoughts and ideas. In anticipation of responding to your invite, I made a cup of tea and went to my cozy corner to take a sneak-peak at The Ribbon In My Journal (love it!). I also enjoyed reading the initial comments from everyone who are also anticipating a great new journey with new friends. I own a small flower shop and try to make it inviting and comfortable so that our customers not only have a good experience ordering their flowers but actually enjoy their visit. We have a garden in the back of the shop and a cozy sitting area inside and invite our customers to help themselves to a cup of tea while they wait for their arrangements. We have made many new friends through this experience. Some of my favorite flower arrangements are those prepared in vintage tea cups and teapots. Because of the demands of owning a small business, I don’t often get to take vacations but publications such as Tea Time, Victoria and Southern Lady have served to inspire and rejuvenate me at the end of a long day, long week…long holiday season and whisk me away where I can spend time day dreaming about all the things that I love. I look forward to “sharing a cup of tea” with my new friends here and can’t wait to see where The Ribbon In My Journal will take me! Jamie, your shop sounds like such a wonderful place. I’d love to see it and your floral creations. Would you like to share the name and location that those of us who may be in the area might visit? My two younger boys, Patrick and John, would pay an afternoon visit for tea to an older neighbour. They would washes their faces and hands, comb their hair, and splash on a bit of cologne. They tea time with Mrs. Rasiul was an event they looked forward to — and I know she did, too. Thank you for your invitation. I’ve never been a blogger but want to try it with you. I subscribe to many of your magazines and love each one of them! I like the term” pondering” instead of blogging. Happy Easter at each of you. Thank you so much for your invitation. Your page is beautiful and inspirational. I’m looking forward to all the wonderful dialogs. Wishing you a Happy Easter. and revisit them for inspiration. I am excited to be following your blog! Thank you for the invitation. I will enjoy every word you write. I love all our your publications. The Flowers book is beautiful! Thankyou for the invitation! I am looking forward to the inspiration that your blog will add to my own path. Thank you for the invitation. As I transition from mom(empty nester)back to ME I can get back to doing what I love and this blog is the beginning of a new page for me. Looking forward to this. Thank you for your lovely note!! I am sure this journey will be inspirational and I look forward to walking it with all of you. Thank you for the opportunity. I would guess that most of us who have commented here and those who have yet to comment have had a journal much like this during the past couple of years. We have started it as we followed you and your shows, your books and your live events. But then we put our ribbon in and waited. How excited I am that now I can start moving that ribbon along as we continue through the journey using this blog, and our journals will fill with many many more wonderful memories that we will share together. I find it interesting that we can do all this, yet not be sitting in the same room and, in fact, not even knowing each other personally! But we are friends who support each other, and we share each other’s tears that become our successes, and our times of sadness which become our strengths and celebrations! So let’s pull the ribbon from this page and start another page in our journal! It’s perfect timing. Springtime – that time for refreshing and renewals! Beautiful thoughts and memories !! We will walk together and celebrate the loveliness of life. Thank you for your gracious invitation. I am so looking forward to being in the group. Inspirational!!! learn how to take pictures and share with others. Love the Cottage Journal and Victoria magazine. help me think of other things. Just can’t wait for this beautiful joinery with you. My heart goes out to you!! I will be thinking of you! You are in my prayers. Knowing the reality of things is so much better than wondering what is going on. I pray for peace of mind and healing for you. God bless you. Thank you so much and do keep me in your prayers even though we don’t know each other but it is amazing how we can be kind to others. Thank you for the invitation! I have also purchased many of you publications and love them all! I am so looking forward to this journey. thank you so much for inviting me! I have been blogging for a short while, it has brought so mcuh joy to my life, I am an artist who is losing my eyesight due to a brain injury from a fall, I turned to blogging to share with friends my art and my journey, while my sight might be fading my desire to create and share is just as strong, , now I have your wonderful blog to enjoy, I love the thought of the ribbon holding the spot, that is beautiful! You are so sweet. I will be thinking of you! I am a fan of you and all your publications. I subscribe to Southern Lady and Celebrate. I purchase many of your other publications as well as the proud owner of many of the books offered by Hoffman Media. You are an inspiration and the definition of a true southern lady. I look forward to receiving updates from The Ribbon In My Journal. I love the name you have chosen for it. Very excited! God Bless and Happy Easter! Thank you so much for inviting me to your wonderful blog!! I love blogging! I can’t wait for your posts. Thank you for the invitation to your blog. Blogging is new to me, as well, but I am eager to read more about the beautiful things in people’s lives. I look forward to pausing for a short while here and there to discover new areas of beauty that I can bring to my own life. Congratulations! I am so thrilled for you as blogging is a passion of mine. I think the name you chose for it is spectacular!! I’m a big fan of Southern Lady Magazine and was happy to be published in your Inspired Design September 2013 issue. If you are looking for design stories and inspiration, we would love to share them with you!! Best of luck – this is sure to be a success!! I LOVE the “ribbon in my journal” blog. I have every copy of Victoria Magazine that has ever been published. I was so happy when the magazine returned. It’s such a joy to press the pause button each day and slip away to some beautiful location and absorb the beauty via a reading, picture, or a location. I’m looking forward to the journey ahead with the “ribbon” in your journal. I also have every copy of Victoria,and tea time. I began this journey into Victoria in the early 80’s when my daughter Alisia , who will be 27-this year was born….now as we are planning her wedding for this august… I refer to all of the delightful traditions of ” High Tea, ” Tea Time has to share……pure time travel delight !!! Beautiful thoughts, thank you for sharing! Thank you of your lovely comments. We will celebrate the beauty in life! I am excited to join a creative group of women in sharing inspiration and support in the grace of living our lives. what a lovely idea to see the softer side of life. Truly wonderful blog Phyllis, and thanks for the invitation for the journey of celebrating the beautiful things in life one day at a time. I’m from Belgrade (Serbia-Europe) and my hobbies are interior design and DIY projects. I love to decorate my home and make it special for me and my family. I hope to have the opportunity to share some ideas with others on your blog. Wish you a blessed and Happy Easter! Let me know if you find a more inspiring name for our special journey, yet to come. Blog is a very interesting term isn’t it? Need to be creative here don’t we? A lovely idea for this all-too hectic, impolite world. Thank you. Thank you dear Phyllis for this beautiful blog. I’m looking forward to it, as I’m sure it will be as beautiful as your lovely magazines (I subscribe to Southern Lady, Paula Deen, Taste of the South and Louisiana Cooking) and books. In this world, that is becoming more and more harsh and busy, busy, busy; it is so comforting to enjoy the warm Spring air, a beautiful flower, a simple cup of tea and a lovingly prepared meal. I look forward to slowing down and enjoying God’s creations, walking along with you through this new blog. Looking so forward to share with my fellow writers!!! I am new to the blogsphere at this moment in time. Yet, what a wonderful way to begin a writing and informational gathering medium. I absolutely love elegance , spiritual food, and women who exude pearls of wisdom. I am very much looking forward to connecting with other kindred spirits in our combined efforts to positively impact our corner of our global community. Looking forward to reading and refreshment! instead of blog…….may I suggest, ‘sentiments’…..? I’m with you! “Sentiments” or even “Ponderings” suggest a much nicer impression to me. “Blog” suggests sludge to me and I hate the thought of slogging through the sludge! This is my first attempt at blogging and I am looking forward to developing new relationships and gaining new perspectives. Blog is a strange word. Let’s get creative a come up with our own word!! I am currently studying pondering as it relates to prayer. This study suggests the act of fully stopping and engaging on communication. I like pondering a because we will stop and become fully engaged in this beautiful undertaking. Love this new uplifting site. As I read about the joy of flowers I am looking at deep purple irises that I replanted from my childhood home. My mother loved them and after she passed away 31 years ago they continue to bring beauty and beautiful memories. My mom is 86 and her prized flowers are her irises. Great thoughts! Phyllis, you are a lovely, very talented and inspiring person. I love my subscription of “Cottage Journal”, and I look forward to enjoying your beautiful blog. I’ll also share some photos of my beautiful new home in the Villa Riviera in Long Beach, CA, which is a gorgeous French Gothic building on the beach, built in 1929, and is on the National Register of Historic Places. It was built as a hotel, converted to condos, and has a lot of rich history. You have inspired me for years. Thank you! I am very impressed with you description of intent for this blog. I must confess I am not a reader of blogs, but I look forward to one that offers inspiration and information. Thank you! Our journey will be fun. Thank you for writing these pages. I am trying to think of a substitute word for “blog.” That word is so cumbersome and heavy for the written word. Even if the words are delivered via the web, writers, especially Lady Writers, need a word refelctive of our elegance and the thought we give to our writing. Any suggestions? I like the name you chose for your blog and the header is gorgeous. I’ll continue to visit for inspiration. What an excellent beginning. I have subscribed and added you to my blogging list. Looking forward to seeing what transpires and I am sure it will be fabulous! Blessings and best wishes. It does seem to inspire beauty. I hope you are able to build on this as you have described to doing. I am blogger with no audience. I wonder how you go about getting interviews from chef, design experts etc. How do you find them or solicit of them. As a blogger I find that it so very lonely as I speak to this box all day long for several years now with nothing to show for it. I have no income and when I try to interview and when asked what have you being doing and I reply that I am a blogger and keep track of my time with volunteering and such but the interviewer is not impressed or cares at all. They simply see gaps in my work history. I am sorry if this is turning out to be a complaining troublesome person. It is lonesome and very frightening for me. I exist but not really since I don’t own anything and I am not a driver. I basically have nothing and don’t exist. But I am very real, I mean to say that I have feelings and sees not of the cold real/mean world out there. Thank you for your blog and inspire away, always. I hope you find beautiful inspirations here. I was in your situation a few years ago. While listening to the radio, I heard an advertisement regarding a local seminary and made inquiry. Long story shortened, I was awarded a working scholarship and graduated with a Master’s degree in Biblical literature. Perhaps this is not your calling or interest, but there may be a similar solution for you. Every conversation, every program, and every article may hold an idea that resonates with you. I encourage you to pursue it; you never can predict what may happen. I suddenly became widowed in the past year and am now regaining my balance in the world. I have no definite direction in mind for my future; still tying up loose ends. I have enrolled in an online course for Color Analysis; it is a subject which has interested me for many years and I am exploring ways to apply it. I raised a large family and my time is more or less my own between volunteering and some social activities. Like Gwedhen, I will keep you in my prayers that a new beginning becomes yours. Barbara Sher is a wonderful source for suggestions and encouragement in finding a personal and occupational path through life. Her books have inspired me. I wish you well.